I trust in You Only. Solely for my soul redemption. «Despite there were no more patients, Sensei didn’t hurry to go home as if waiting for somebody. In about fifteen minutes a slow step indeed resounded in the corridor. Somebody knocked at the door politely. The door opened. Two old nuns entered holding the arms of an unusually looking old man. He was around ninety years old by appearance, little withered, very tall – up to one metre ninety centimetres. 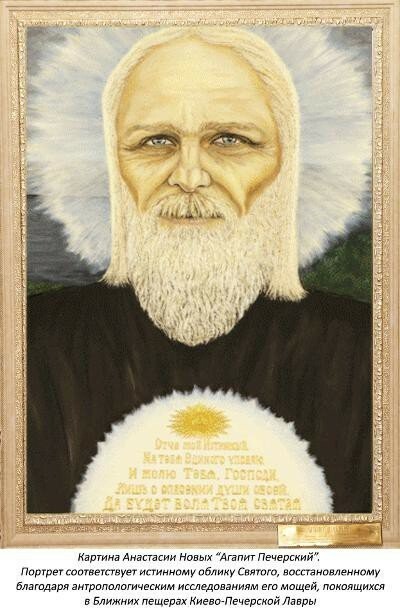 He had regular Slavic face features. His beard and slightly curly long hair were white like snow. He was dressed in a warm, somewhat old-fashioned cassock and quitted village boots. The old man’s legs were evidently diseased since he was making his every movement with great difficulty. In spite of such outward wildness, his eyes radiated with life-giving kindness and inner force. — Peace to you, peace to your home, — the old man said having crossed himself and bowed. The nuns did the same thing. The guys sitting on the benches were actually struck dumb of such wonderful, long ago forgotten words and the extraordinary appearance of the old man. — Hello, — was the only thing they could say, perplexedly nodding in response. At that moment Sensei came out his reception room. — Peace to your soul, Antony, — he uttered in an unusually changed sonorous voice imbued with some pacifying good power. — It’s not good for you, Antony, to kneel before this body. — I kneel not before the body, but before the Holy Spirit. — Your entire life, Antony, spent in God’s love is the true worship. Gently holding the old man’s arm, Sensei led him to the waiting room. The nuns humbly sat down on a vacant bench, continuing to cross themselves and to whisper prayers. The guys were naturally little shocked with such spectacle, but not for long. Something usual always happened near Sensei. In a minute they were already carried away with talks about daily stuff. Max was sitting closer to the waiting room than everybody else, so he could see and hear what was going on therein. Having entered the room and seeing the Saviour’s icon, the old man crossed himself again. Sensei seated Antony on a chair, and sat on the trestle-bad edge himself. — Thanks God, I have another chance to meet with You. My soul is rejoicing and thrilling of the grace, being next to You. The old man whisked away a running tear. — Antony, has there been a single day in your life when I wasn’t there beside you? — It is true. But still... Your gaze soothes my soul with Your light like the lucid sun in pure skies. — Oh, Antony... Soon you will be comforted under this sun eternally. — It’s a great joy, a true gain for the soul... However, a pain for those who will stay just wouldn’t abandon me. A terrible time awaits them. How their fate can be eased? — My light Antony... I’m delighted over your love and care for those living in this moment. But is it worth tormenting your soul for those who listened, but didn’t hear, who acted with their bodies without feelings and did not imbue with the soul? — Yet, not everyone is lost. There are aberrant, too. Who will search for them amidst the slum of unbelief? — I know what you’ve come to ask me for, Antony. I know your secret ideas. Although there are only few pillars like you remaining in my favourite Orthodoxy capable of striking divine sparks, my hand will not rise to prolong your torment. — Yes, my body is feeble, but my spirit is firm and powerful... I still can lead out to God’s light at least a single soul, at least by the hand. — Oh, I know you, Antony! Should you’re allowed to lead by the hand, you will kick your entire herd to the heavenly garden. — Forbid me, my Most Holy Light! Yet, I’ve been shown all the torments of hell which the lost children will suffer. And those children are like little kittens, blind from their birth. They don’t see where they go. — They don’t see indeed. But the Word has been given to them, and they’ve heard it, but don’t trust it. Whereas God should be trusted. It’s been said: “Keep vigil!” It means – keep vigil! It’s been said: “Win love”, so one should win it. — All this is right... But their deafness is due to lack of understanding. Visions of the hell desert mirages seduce them. They don’t know it’s a ghostly illusion which leads a soul to ruin. — It is the mundane vanity which gives them no rest. — Vanity? Vanity, Antony, in not in the world. They are wearied not with the external, but rather the internal preys upon them. I’ve come in this body just in order to live a human life and to see with my own eyes whether anything hinders a human being on the way to God. Nothing hinders! Only total laziness and craving for perishable temptations. — Yes, children are weak in spirit yet. They don’t see greater behind a little. Forgive me my words, but why don’t You reveal your Genuine face before the lost herd? People would find faith which leads to redemption of their souls. It’s a different time now. — Eh, Antony, my godly light... My spirit is here not for preaching, but for Accusation, because the balance given by God has been broken. Should I disclose my Genuine face, for many it would be like death, since souls of sinners would not endure the pure light like darkness does not endure the bright sun. It can be viewed only by righteous people, pure in soul and mind... Now people need not preaching of redemption, but rather actions. Nobody will now be able to justify one’s ignorance, saying something like: “Lord, I’ve been searching and haven’t found”. The lights of truth burn throughout the Earth. Who wants will find.